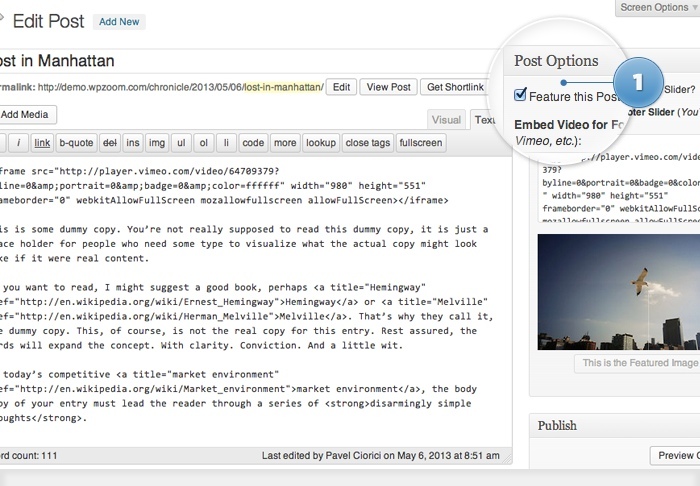 To add a new post in the slider on the homepage, edit the post you want to feature and check the Feature this Post? option. Insert the embed code in the Embed Video field or Upload a Featured Image to the post. 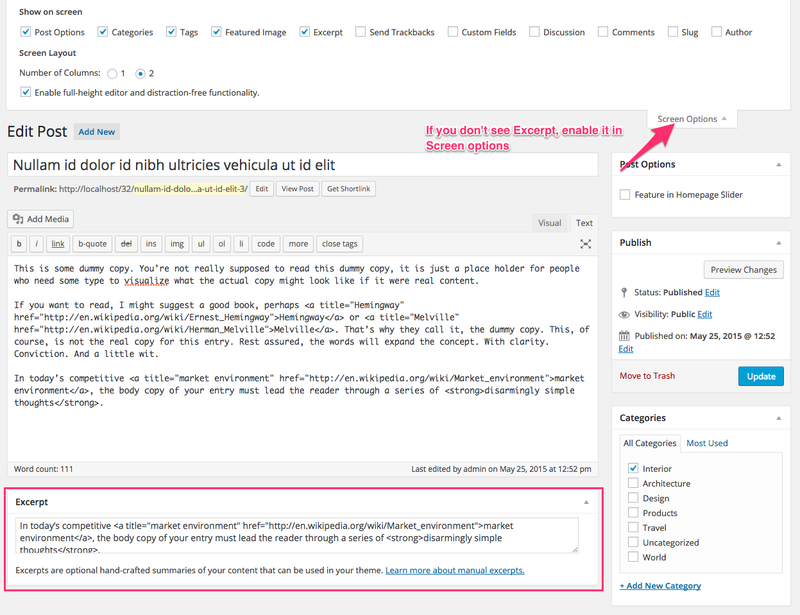 Look for the Page Attributes box in the right side, and select Blog or Archives from the Template drop-down. 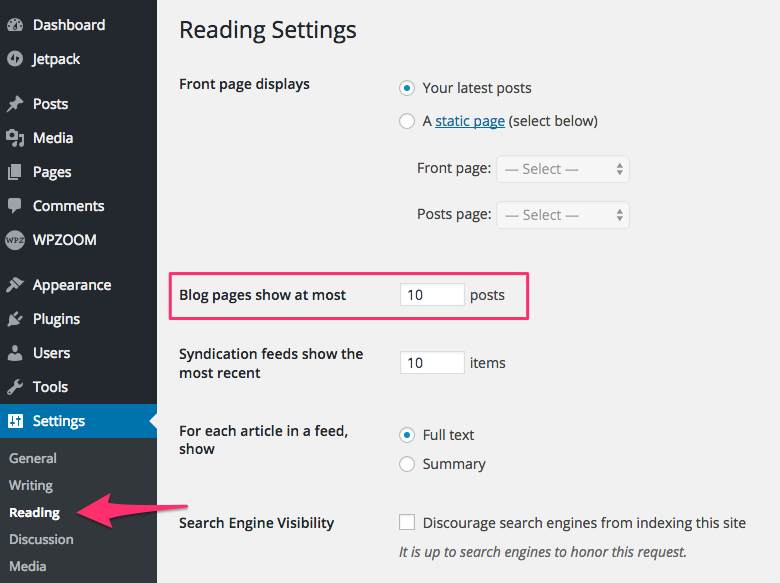 After you will publish this page, all blog posts will appear in it. To add widgets in this theme, access Appearance -> Widgets menu, and drag widgets to your widgetized areas to activate them.